Sandy is an award winning Broadcaster who has been teaching at City, University of London since 1999. Sandy was awarded the IRN Gold award in 2018 for services to commercial radio news and the Fellowship of the Radio Academy, the highest honour the industry awards, for her work in Commercial and BBC Radio. She has won national and international awards for documentaries, sports commentary and Political programming. 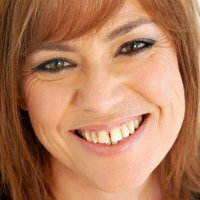 She currently freelances at the Wireless Group (TalkRADIO and Virgin) and for Bauer Media (Magic) and works as a consultant and presentation trainer for organisations including the BBC, Sky, Al Jazeera and in the business world.